This is a 2 part post....CLICK HERE for the first part. I always tell people to have Potassium Iodine on hand enough for your family plus. Click here for some info on it from the CDC. Make sure to keep informed by radio or TV. The decision to take potassium iodide should be based on info you get from the national health authorities. They will be in the best position to decide if it is needed and in which areas. Also a reminder...boiling water DOES NOT remove radiation. There are some filters out there that claim to.So water stock up is important. Some Medical Herbs for radiation exposure. Here is a list of medicinal herbs that I recommend you take for radiation exposure. You can take them as a tea, a tincture or even eaten. I have come across a lot of websites that say you can take this herb and that herb in a pinch instead of Potassium Iodine. the answer is NO. It can hurt you more. It has to be Potassium Iodine. So stock up! Really have some. I have found it in a few places. But if you have a good doctor they may be kind enough to give it to you. I am lucky mine finds my prepperness to be quaint. But I have no thyroid...so this does not apply to me. Radiation goes after the thyroid gland, this is your immune system...without these hormones....ya die...that is why it is such a big deal to take the potassium Iodine...to protect those glands. Because I do not have them, I need to take meds for the rest of my life. And again...I have a double script. Every month I get and extra month....and I have a major stockpile of it and have it at every place that I may go. I also had to learn how to processes rabbit glands to make the med. Just in case and for if I run out...or if I want to help others that do not have their thyroid glands. But you do not want to lose it!!! 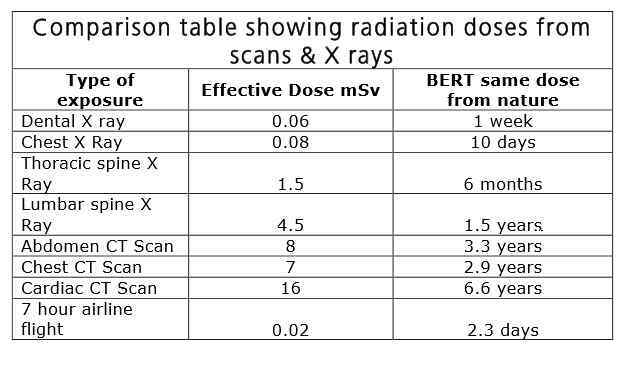 Once you are done with you Potassium Iodine you will want to get the rest of it out of you....look at the chart above....this is just to show how much radiation is in things we do in our daily lives...You get up to SIX YEARS of everyday radiation in ONE CT SCAN! That is crazy. So you want to have these herbs to detox this out of you.You want to have them pre radiation situation. In Jars, Mylar or at the least have seeds for them. So these are the herbs that can help you clean some of this out of your system. The herbs that people recommend are more for if you have had an X ray done. Or event even everyday exposure form computer, cell phone, microwaves, the sun, even some of our foods. Little known fact, Grand Central Station is one of the most radioactive stations. The walls of the station,and its foundations, are built with granite, a rock that naturally holds radiation.The radiation levels produced by the station are so high that they actually exceed the levels that nuclear power plants are legally allowed to emit. Any who.....I think that is what people mean when they say you can take Burdock Root or Cilantro Leaf for radiation,,,,or for after you are done with the PI. NOT IN PLACE OF or with!! But because we do have daily radiation and it is worth touching base on a few of the helpful herbs to help clean your body of them. And or to clean them out after a fallout. 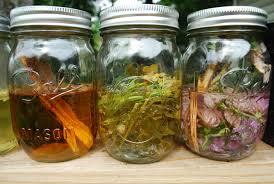 I am going to say using tincture are your best option. 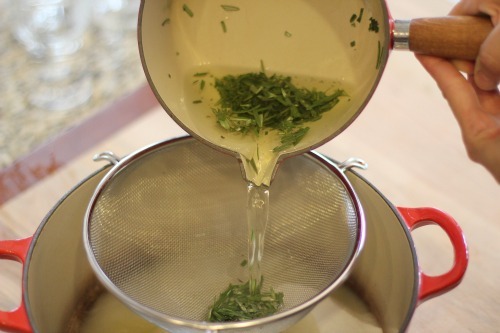 which you can make with the herbs yourself and keep in glass jars to keep them safe. AND ALWAYS talk to your doctor first before taking herbs as meds! I do! Burdock Root You can ingest 15 to 20 drops of tincture 3 times a day. This will help clean your system out....but do not do if prego..
Cilantro Helps with cleansing the body of heavy metals and it will help some with radiation. 1-3 drop of Cilantro is a good dose depending on body weight. You can even just eat it but it would have to be a lot. Ginseng Is known to help with the side effects of radation expoure. 15 to 20 drops of Tincture 3 time a day. Bentonite clay or any other edible clay helps remove toxins and get this you put a teaspoon in a glass of juice or pure water. But you must drink a lot of water throughout the day if you do this. Extra virgin olive oil (cold pressed) helps protect the cell membranes. Sea Salt and Baking SodaBaths- add 1 pound of sea salt and 1 pound of baking soda and soak in chlorine-free water for 20 minutes. Then rinse with cool water. You can also 1 pound of betonite, or other clay, to the sea salt and baking soda when soaking which increases the removal of radiation. Some specialists who work with radioactive isotopes use this method to remove radiation from their body. If you have been exposed to an abnormally high level of radiation you can use this method three times a week for one month. Milk Thistle helps the liver deal with the effects of toxicity of radiation poisoning. Onions, garlic, green and black tea, cabbage, broccoli all citrus fruits. Time is gold. We should treasure every second of it so that in time we would not regret anything because we only live ones.I have read your article and i was glad and inspired. Thanks for it, Cheers!